Our cartoon race car & pull back vehicle are especially designed for children to cultivate their manipulative ability and the colorful design could also intimate their recognition of colors. The former is powered by batteries while the latter doesn't need any electricity. They are easy to operate that will be a perfect way for parents to interact with children. 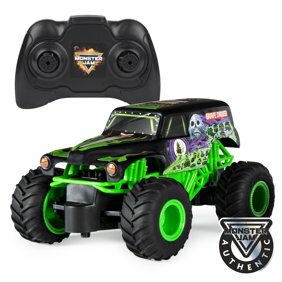 Versatile - Press the switch on the remote steering wheel and the race car will play engine sound. Pat the head of the doll and the toy will play the car acceleration sound. Press the lights, then you can hear the sirens. - Please aware that the color of the pull back car will be random delivery and the batteries are not included.